I love pickles, anything pickle flavored, and anything at all that's pickled. I could (and do) eat something pickled everyday. Yes. Every. Darn. Day. Am I the only one who believes it was destiny that my last name turned out to be Gercken (thank you to my husband Jarrett)??? a small variety of cucumber, or a young green cucumber used for pickling. a trailing plant with cucumberlike fruits used for pickling. 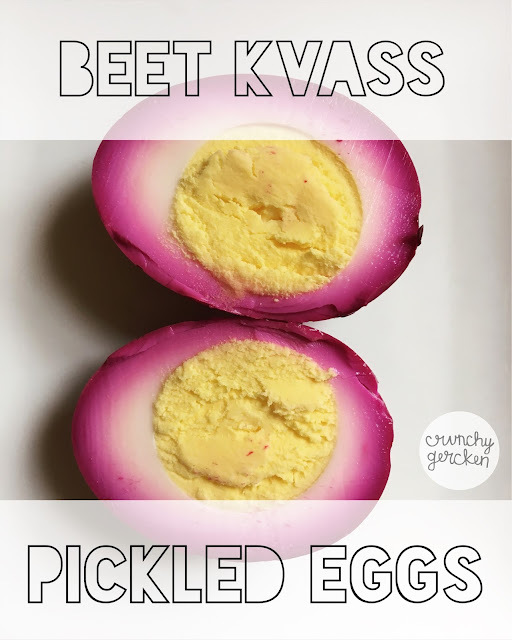 Now that we've gotten both my pickle-like last name and my passion for pickled foods out of the way, let's talk about beet kvass pickled eggs. Recently I was on the hunt for something to pickle that would make a good snack in the evenings. I came across a pickled egg recipe, and thought about how long it had been since I had had one! I whipped up my own recipe, and after 3 very long days of waiting I was pretty impressed! These little suckers were what my pickled dreams are made of. For reals. 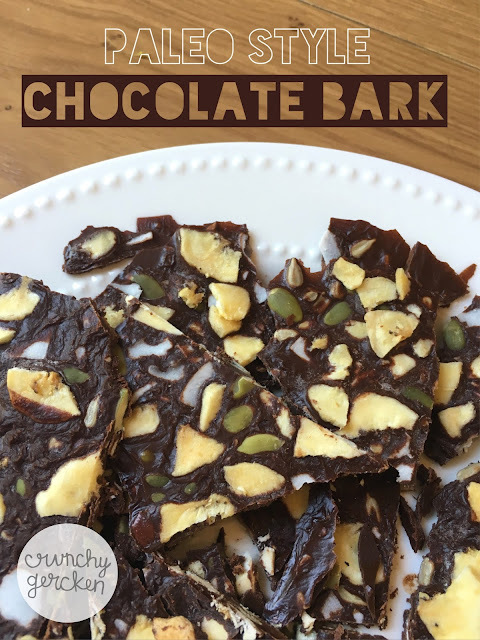 Easy to make, delicious, and a good way to get extra protein! When putting my recipe together I decided to add some fermented beet kvass (check out my recipe on how to make beet kvass here). It's loaded with nutrients and also added an extra earthy flavor to the eggs! Place the boiled and peeled eggs in the 2 quart jar. Add both the white and apple cider vinegar, canned beets with their juice, and beet kvass. Top it off with water (if there's any extra room) to make sure that everything stays submerged in the brine. Seal the jar and place it in the fridge. Let the eggs rest for at least 3 days before trying (it's very hard, but if I can do it then you can do it too)! As long as everything stays submerged in the brine then it should last for a month (or longer) in the fridge! *Notes- Other recipes include sugar to balance out the sourness of the vinegar. I prefer more sour and also prefer to avoid sugar, so I left sugar completely out of mine. The beets added enough sweetness for me. If you did want to include additional sugar add in 1-2 tablespoons of brown or raw cane sugar in your recipe. Just heat and dissolve it in a saucepan with the canned beets/their juice and both vinegars, and then let cool. Once completely cooled, pour over the boiled/peeled eggs inside the jar, add the beet kvass, and top off with water (if there's extra room). Have you ever made pickled eggs? Do you have a favorite recipe? Breakfast is a favorite meal in our house. We all LOVE it, and are total grumps without it (don't even try talking to my one year old until he's had his morning eggs, okay). What you start your morning off with and give your body as fuel will surely affect the rest of your day. Normally we love classic pastured eggs and a few nutritous sides, but some days are a little busier than others and cooking breakfast isn't always an option. I've been on the hunt for quick and healthy options that aren't just boring granola bars. 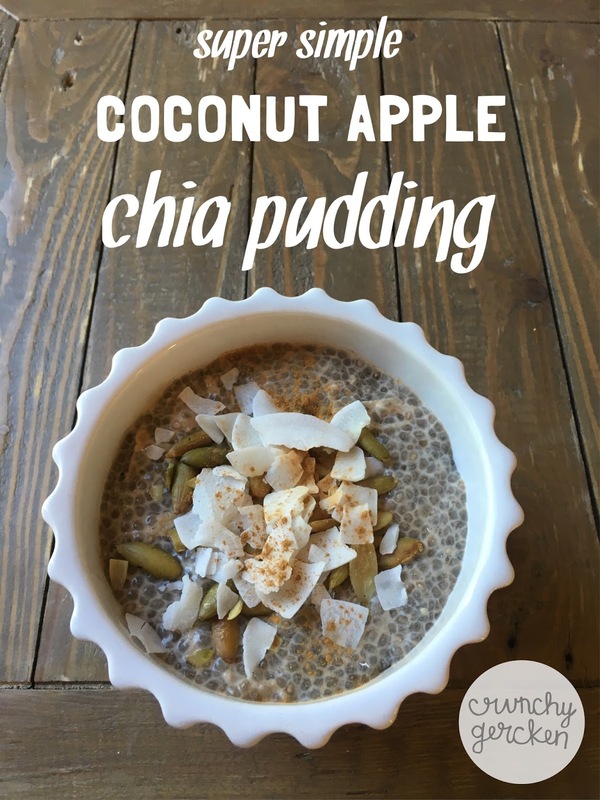 Say hello to coconut apple chia pudding. 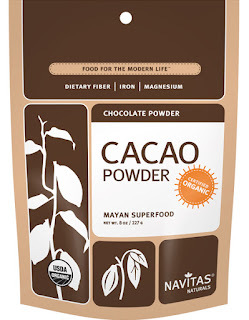 It's so easy and is made by simply soaking chia seeds in milk! Chia seeds are a nutrient-filled superfood and are loaded with fiber, omega-3 fats, protein, vitamins, and minerals. 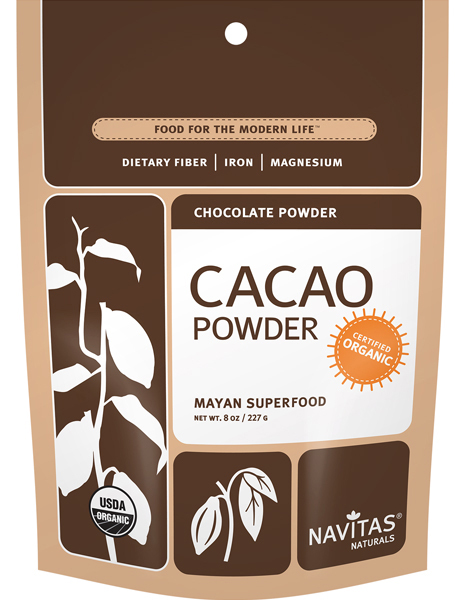 They were highly valued by the Mayan and Aztec cultures for their ability to increase every and stamina. They were even considered to be magical or supernatural. This breakfast pudding is so easy and so, so delicious. It's sweet, but not too sweet, and it is super filling. I love making a small batch on Sunday nights and then having it available throughout the week. Not only is it a great breakfast, but it's also a good mid-day snack! You can change it up through the week and add different toppings for a little variety (so far my favorite toppings have been extra coconut flakes, shredded apple, pumpkin seeds, or almonds and walnuts). Have fun and experiment with it! In a glass bowl combine the chia seeds, coconut milk, vanilla extract, maple syrup (or stevia), and spices. Mix well and place in the fridge over night. When ready to serve, shred one apple and add 1-2 tablespoons to each serving, plus any addition desired toppings. Enjoy! Have you ever made chia pudding? Share your recipes below! Tea tree essential oil really is one of the most glorious essential oils ever. It's extremely gentle, yet tough, and it's very inexpensive (compared to other essential oils). 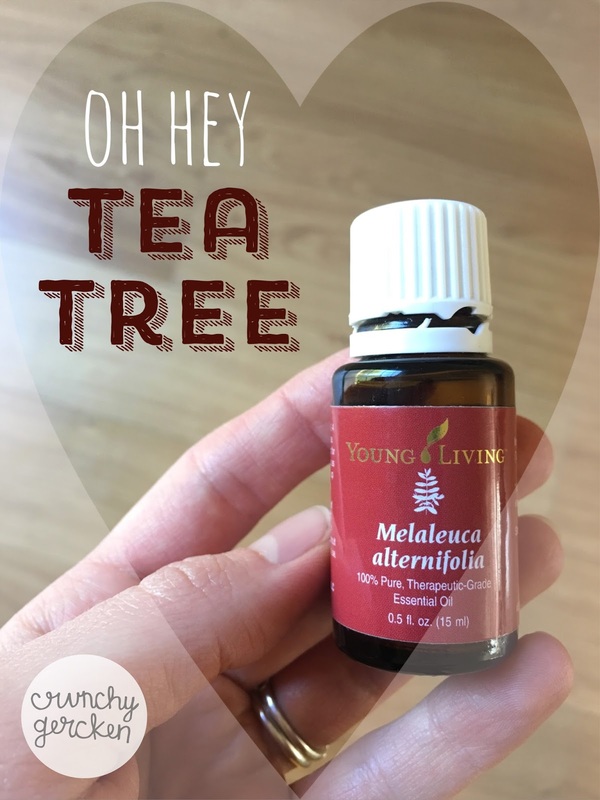 Tea tree, or specifally melaleuca alternifolia, originates from Australia and has been used for centuries for healing various ailments including cuts, wounds, and skin infections. It is a very powerful and versatile oil that has been used for its antibacterial, antiviral, antifungal, anti-inflammatory, and immune-stimulating properties. There have been several studies done on tea tree's ability to both kill and inhibit the growth of bacteria, and it has even been proven to "effectively treat infections of drug-resistant bacteria, including MRSA". Studies have shown that there is no link between the use of tea tree oil and antibiotic resistance, ruling out recent concerns. It is also highly unlikely that bacteria could develop a resistance to tea tree oil itself. Essential oils contain hundreds more chemical compounds than antibiotic medications, making it difficult for bacteria to adapt to them. It's seriously some powerful and amazing stuff! Certain people in the medical field are catching on, and it's really gaining popularity (especially with the recent 'post-antibiotic era' talk). It's not only the mac daddy go-to for anything skin related, but it's very easy to find a use for it every day. That's right. Every. Single. Day. Here are some of my favorite ways to use it! Say bye bye blemish- just dab a little bit on and watch it do its thing. I also love adding a few drops to my homemade oil cleanser to help clean any bacteria and promote clear skin. 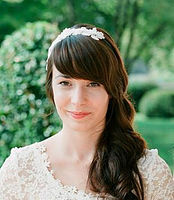 Did you know that dandruff is a yeast-like fungus? Gross, right? Well thanks to tea tree's amazing antifungal properties it does wonders for killing this fungus and treating most cases of dandruff. I like to add a few drops to Braggs Apple Cider Vinegar and then douse my head and let it sit for a few hours. Or if you prefer not to have a headful of vinegar you can just rub a few drops of pure tea tree on your scalp before bedtime. Tea tree is soothing to irritated skin and has anti-inflammatory properties, so it is an amazing ingredient in homemade diaper cream. When Fox was really little his skin was very sensitive to anything and everything (and still is hah). His poor little bottom would turn bright red with every organic wipe we tried. I eventually came to the conclusion that the only way to prevent it and save his booty was to use cloth wipes, and to make my own wipe spray for them! Using cloth wipes kind of sounded gross at first, but actually it really was not that bad. I added tea tree essential oil and a few other ingredients in a little spray bottle, and would just wet wipes as we used them. His red booty ceased, and was it was clean and happy. I"m a stickler for washing my fruits and veggies before they go in the fridge, but I'm not about paying $8 for a bottle that will only last a week (we eat lots of vegetables and fruit, okayyyyy). I started making my own with distilled white vinegar, and adding tea tree and a few other essential oils. It works great! 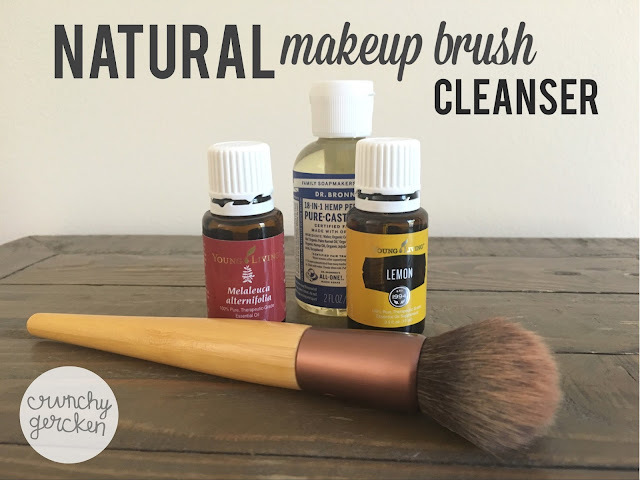 Tea tree is a great essential oil to add to home made makeup brush cleanser because of its cleansing properties. If you've ever been attached by mosquitos, you know that the aftermath is not fun. Tea tree is a great way to speed up the healing process of any bug bite, and also relieves the itch and irritation! Great remedy for any kind of ear pain. It helps with the inflammation, and also stimulates the immune system which speeds up the recovery time. A tea tree/garlic mullein oil mixture does wonders when applied to the bottoms of the feet and in or around the ear. Tea tree is a must have for any kind of natural/aluminum-free homemade deodorant. It helps fight oder by killing bad bacteria. Have you ever forgotten about a poor load of laundry in the washer? I have...for longer than I'm willing to admit. Well good news...Tea tree straight up kills mold and mildew and gets rid of the awful stench. I like to add a few drops to my detergent too! *PLEASE NOTE- Tea tree oil (because of the chemical compounds it contains) is one of the few essential oils that can be toxic to cats specifically, so please never apply it directly to them! Have you ever experienced tea tree oil's awesomeness? What are your favorite ways to use it? Want to learn more about how you can get your own therapeutic-grade tea tree essential oil? Click here!